The Pilgrimage Church of Heilig Kreuz in Saxony was elevated to the dignity of Minor Basilica on 12 November 2018, on the 850th anniversary of its historical founding. In 1543, during the time of the Protestant Reformation, the monastery was suppressed. It was in 1993 that the Diocese of Dresden-Meissen invited the Benedictine Abbey of Ettal to refound the monastic community as a dependent priory. Ettal Abbey is a member of the Bavarian Congregation. With the naming of Wechselburg’s monastic church to the dignity of Minor Basilica, it becomes the first church in former East Germany outside of Berlin to receive such a title. The Apostolic Nuncio to Germany, Archbishop Nikola Eterović, read aloud the papal decree issued by Pope Francis, and he also unveiled the papal coat-of-arms at the basilica’s entrance portal. The Bishop of the Diocese of Dresden-Meissen, His Excellency Heinrich Timmerevers, and the Abbot of the Benedictine monastery of Ettal, the Right Reverend Barnabas Bögle OSB, also took part in the celebration along with the monastic community and Christian faithful. 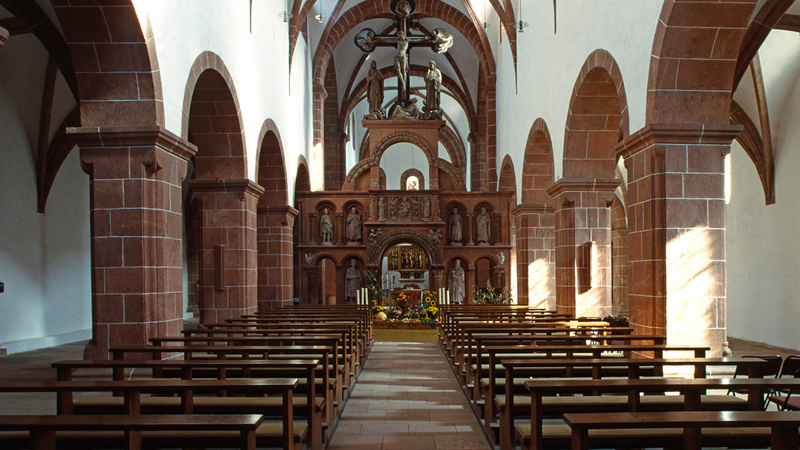 At present, there are approximately 1,500 minor basilicas in the world, with 77 of them being in Germany. The Basilica of Wechselburg is the first Catholic church in the eastern German states to bear this title. The church is one of the best preserved Romanesque buildings in eastern Germany. “For us, this award is like a UNESCO World Heritage Site for Catholics,” stated Father Maurus Kraß, prior of the monastic community since 2012. 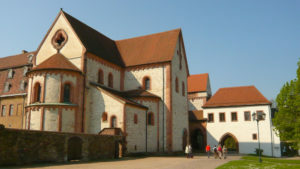 Three monks currently serve at Wechselburg Priory, with responsibilities for carrying out pilgrimage work and pastoral care for the parish.